Saluting is primarily but not exclusively a military sign of respect with a very long history. This week it hit the news that some senior officers have become upset as recruits are not showing them the respect they are due and recently none other than President Obama have been criticised for taking saluting seriously and respectfully enough but why do we salute in the first place? 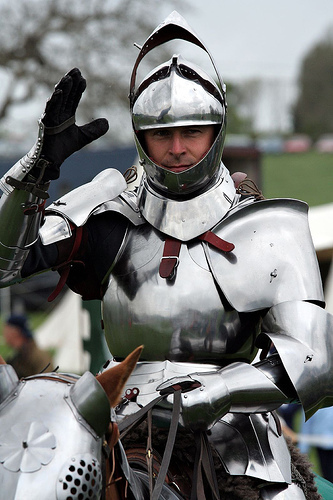 The origin of the military salute goes back to the time of knights when especially British but also French and Germans would lift their hand up to push up the visor on their helmet and so revealing their true identity and implying that they are proud of their position and are not intending to hurt anyone. A not so medieval knight opens his visor to reveal his identity and peaceful intentions. Over the centuries as armour gave way to uniforms, British soldiers would salute by lifting their hats to superior officers, a habit that spread around much of the world including to the American colonies. However as headwear became heavier and more ornate this began to be impractical and also tended to cause too much wear and tear to hats and caps if men were saluting officers many times each day and so as early as 1745, a British order book stated that: “The men are ordered not to pull off their hats when they pass an officer, or to speak to them, but only to clap up their hands to their hats and bow as they pass.” Over time, it became conventionalised into something resembling our modern hand salute. It’s interesting to note too that the Royal Navy salute is different to the salutes of the other armed forces in that they salute with their palms facing downwards, this is because their hands were often dirty from pulling ropes and tarring decks and it was thought to be insulting to officers to see dirty hands when being saluted to! The American military adopted this type of salute whereas Commonwealth Nations adopted the Army salute and as an avid cinema goer, not many things get me out of the experience of Hollywood movie by having all the allies saluting the wrong way (that and use of terms no-one here has ever heard of)! 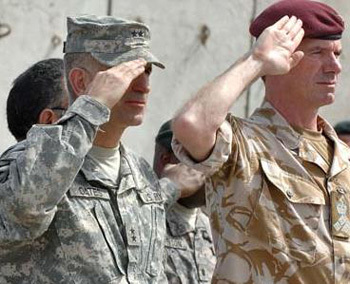 Here you can see the difference between a British salute on the right and an American salute on the left. Of course saluting can also be done with weapons. Officers with swords can ride a salute by lifting the sword to their face with the blade directly infant of their nose. This tradition goes back to the time of the crusaders when if knights could not kiss their crucifix then they would kiss the hilt of their sword which formed a cross when attached to a sword blade. A similar process takes place with modern rifles when soldiers are ordered to ‘Present Arms’. Many military funerals include a three-volley salute where three soldiers fire a volley of blank cartridges into the air in respect of the fallen and this salute like many others goes back to times past in Europe when armies would temporarily call a truce to recover and bury the dead and hostilities would recommence on the firing of three shots. 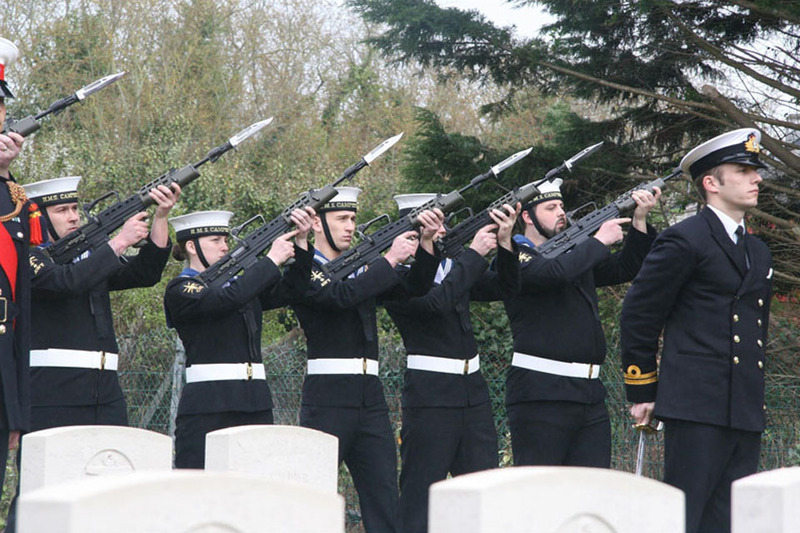 Men of HMS Campbeltown fire a special salute at a war cemetery. There practice of cannon salutes really go back to the Royal Navy. At first salutes consisted of 7 cannons but as ships became ever bigger, the number eventually increased to 21 cannons. The whole concept of the naval salute is based on the idea that when a ship fires its cannons, it temporarily becomes defenceless. Royal Navy ships would arrive in both domestic and foreign ports and fire away from the shore to indicate their peaceful intentions. An odd number of cannons was chosen as an equal number was reserved for deaths, it was also a possible way to save on gunpowder. 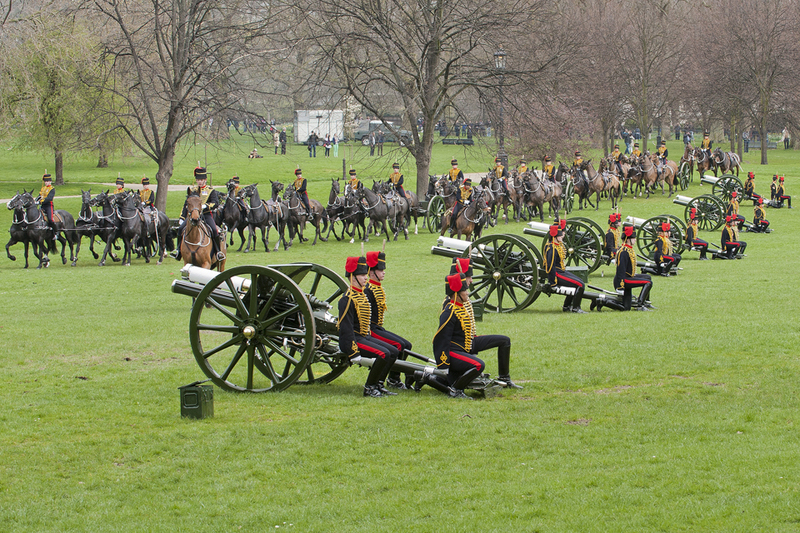 Pictured: The guns from the KTRHA finish firing the 41 gun salute to Her Majesty in Green Park. Even now, heads of state receive 21 gun salutes whereas other senior governmental and military figures receive between 11 and 19 gun salutes. The only exception to this are royalty and particular the British Royal Family where gun salutes in the parks of London and at various palaces and castles can number up to 124 cannons! Even the airforce has its own methods of saluting. 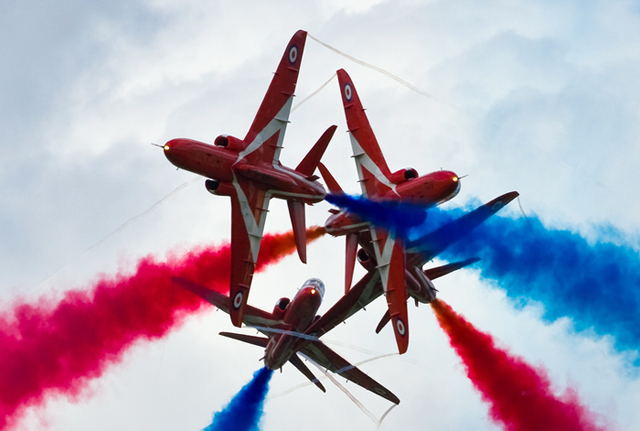 The RAF has its Red Arrows that perform at events such as Trooping of The Colour and the USA, France and others have similar aerial display teams. Other methods of aerial salute include tipping the wings of the plane, particularly common in the world wars or flying in a formation with a plane obviously missing. 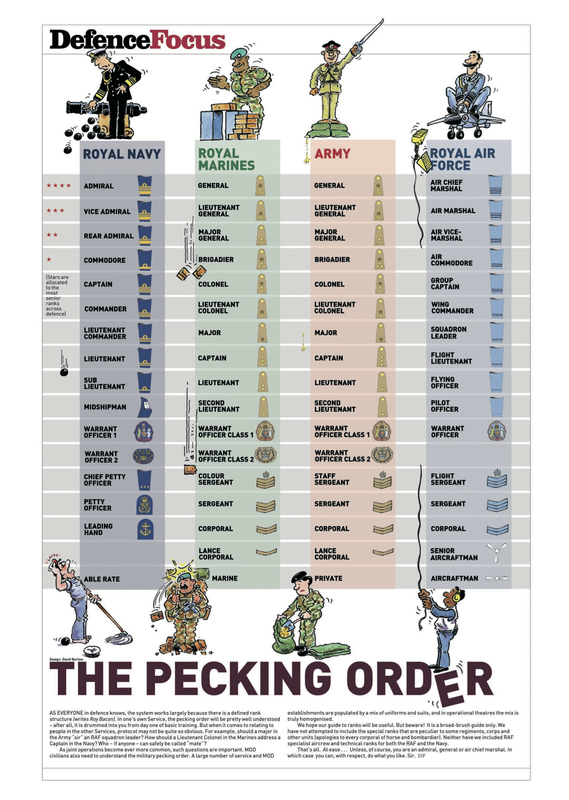 Throughout the world there are a few oddities in the military. In Israel it is not common practice for soldiers to salute their superiors on the day-to-day duties. In the United States, soldiers are not to salute whilst indoors except when formally reporting to a superior officer or as part of a ceremony. In Britain a salute can only be given if the soldier is wearing his headwear (though there is the odd exception), if a salute can not be given then they must stand to attention. The junior party must initiate the salute and continue the position until it has been returned. All officers hold the commission of the Queen and so when saluting an officer, in a way you are acknowledging the Queen herself. Though not in the military code, it is common practice that for those brave 1357 who have been awarded the Victoria Cross (the highest award for valour and gallantry) in the last 160 years, one of the honours they are bestowed is that even the Chiefs of Staff will salute them. Saluting is not just for the military. In the U.K. and most Commonwealth countries, we civilians don’t salute our flag, Queen or politicians and the idea of doing so seems a bit strange to us. We might in period dramas and in places where we wear hats, tip our hats or even lift them from our heads as a sign of respect when meeting each other as can often be seen in some of the finer hotels. Poorer civilians or indeed some sailors who didn’t have hats or at least not impressive ones would touch the hair above their forehead to show deference to their betters, something which is still on the go here and there and where the phrase “tug your forelock” comes from. Even a future Queen must curtsey to the present one. Apparently curtseying is coming back into fashion even in the USA where it was discouraged in the 1960’s. There is also the old-fashioned symbol of respect of a man bowing and taking the hand of a lady to kiss it though it must be said that foreign tourists shouldn’t just do this with anyone they meet in the U.K.! 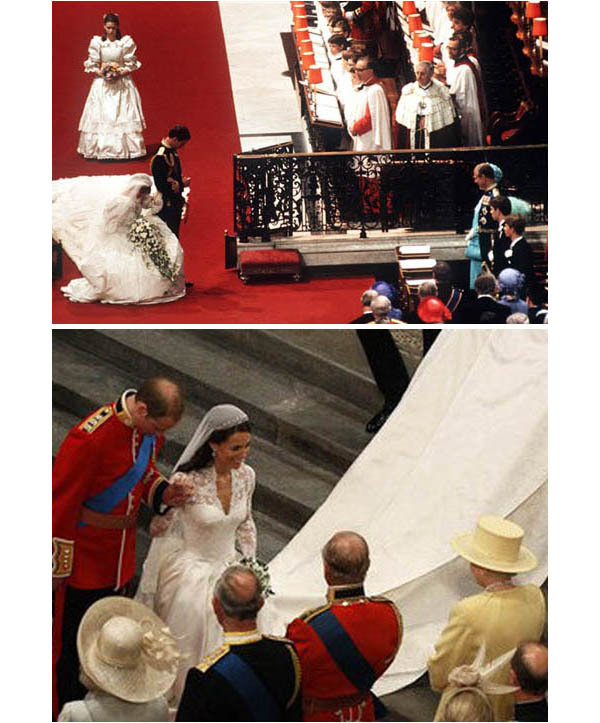 Ladies themselves might curtsey but usually only to someone very senior or a royal family member. However some in European nations such as Italy or Germany are much more into saluting the symbols of their nations with civilians hold their hands up over their chest when they hear their national anthems at sporting events. It is thought by many that the original salute came from the Romans which involved stretching out an arm with their palm facing the ground, a form of greeting that is now understandably illegal in some nations. 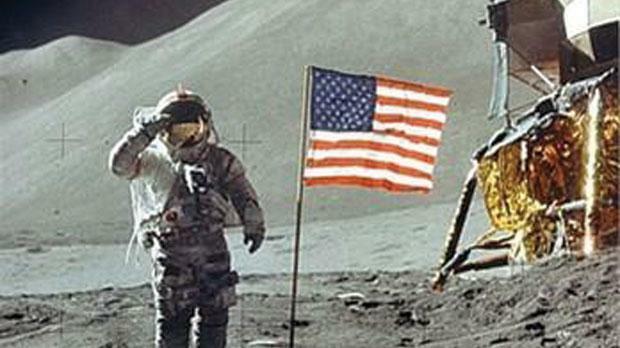 Neil Armstrong salutes the flag. In the United States, things are taken a step further by civilians saluting the flag or standing to attention during the playing of the national anthem. It is also here that the Black Power Clenched Fist salute originated with its more aggressive posture compared to that of the clenched fist salute which is common throughout much of Africa. In the Arab world the most common greeting is Salaam which literally means ‘Peace’ and people will exchange greetings or salutes by touching their heart before and after shaking hands. Relatedly India has the Namaste and Sat Sri Akal salutes where the palms are placed together next to the heart with the head bowed. Not entirely different traditions exist in South East Asia. Aishwarya Rai in the traditional Namaste greeting. So whether you are a boy scout, bollywood star or future Queen of England you can the knights of old and Romans for all of this. If you’ve just signed up for the British Armed forced and you are in doubt of who to salute then perhaps this helpful guide below will be of assistance! Sometimes you’re the statue, sometimes you’re the bird. This entry was posted in history and tagged Curtsey, Flag, Gun Salute, history, Knights, Life, Military, Neil Armstrong, Royal Navy, Salute, The Queen, UK, USA. Bookmark the permalink. Most interesting as usual. Here in Italy, the national anthem is respected by standing to attention and, as you state, covering one’s heart and, of course, making the sign of the cross when entering a church is de rigeur among catholics, a salute to God if you like. I like that about entering churches. If you ever visit some of the old mosques in the Middle-East you often have a huge arched doorway but the actual door you use is only about 5ft tall so that you have to bow your head before God on entering his holy place. As you’ll probably know, lots of people in the UK don’t actually like our own national anthem with Scotland and Wales in particular having rousing anthems for sporting events but use God Save The Queen for other occasions whilst in England we tend to use God Save The Queen for almost everything. There is though quite a trend of using Jerusalem or Land of Hope and Glory at some events and both are often cited to be more popular than the actual national anthem. I guess if they ever get round to creating a real confederacy amongst the nations then one of these will be used for English only occasions.